© 2017 Mercatus Center. All rights reserved. The Mercatus Center’s Scott Sumner and David Beckworth have made the case that an alternative monetary policy approach, nominal gross domestic product (NGDP) level targeting, is superior to inflation targeting. 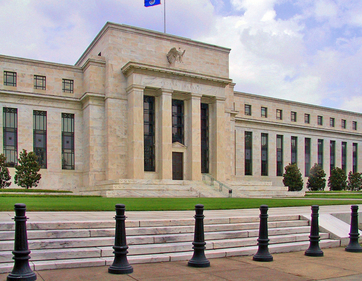 According to Sumner and Beckworth, instead of targeting inflation, the Federal Reserve’s monetary policy should target the rate at which the nation’s total income is expected to grow. NGDP level targeting will ensure that the right amount of money supply is provided to meet the economy’s needs. The Mercatus Center sponsored the development of a futures market based on NGDP contracts with Hypermind, a UK-based prediction market. The market has been established with one contract based on the nominal GDP of the first year of President Trump’s administration (2017: Q1 to 2018: Q1), and another for the following year (2018: Q1 to 2019: Q1). Participants in this market can trade on what they think the rate of NGDP growth will be over each of President Trump’s first two years. To participate, go to hypermind.com and click “Register.” You’ll be prompted to answer a few simple questions. You’ll then receive an invitation to start forecasting! Participants do not invest any of their own money in the market. However, participants who make the right prediction about 2017’s and 2018’s NGDP will win Amazon gift certificates. Hypermind will distribute the gift certificates (equal to the total available money invested, currently $70,000) among all participants in proportion to their individual performance on each contract.